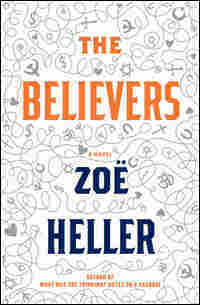 'The Believers': Zoe Heller's Scathing Social Satire By refusing to serve up even one likable main character, Zoe Heller's new novel raises implicit questions about readers' expectations about fiction. 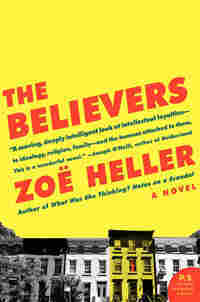 Reviewer Maureen Corrigan calls The Believers a "smart, caustic novel." Zoe Heller is also the author of the novel What Was She Thinking? Notes On A Scandal. Zoe Heller has no patience with what she calls the relatively new phenomenon of "relatability" in literature. She's already been chided by reviewers for not including obviously likable characters in her latest novel, The Believers. But Heller — rightly, I think — rolls her eyes at the dumbed-down midcult notion that every novel must contain an Atticus Finch in order to secure readers' attention. Heller gambles on her readers' intelligence and wit, rather than baldly appealing to our feelings. 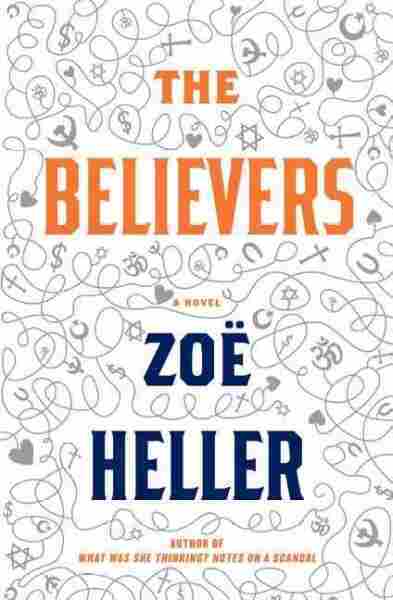 The chilly social satire that Heller expertly executes in The Believers makes it a standout novel. She may not give us characters here to like, but Heller likes her readers enough to credit us with wider reasons for reading novels than just latching onto characters to identify with. The Believers dissects the family of an elderly left-wing lawyer named Joel Litvinoff. Joel, like the late lawyer and activist William Kunstler, has devoted his life to defending radicals and subverting convention. One of his adult children recalls how Joel — an atheist, of course — would respond to invitations from friends whose children were making their bar or bat mitzvahs. "Joel made it a point to send back all invitations to such events with the words THERE IS NO GOD scrawled rudely across their engraved lettering." At first, it seems as though The Believers is going to focus on Joel because, after all, he's something of a living legend. But, Joel is dispatched rather early in the novel: He's felled by a stroke and lingers, comatose, in a New York hospital while his wife and children must realign their orbits. Indeed (and this is the only flaw worth mentioning in The Believers), everyone's faith in Joel is rocked when it's discovered that he's had a long-term love affair with a woman who's borne their son, now 8. Don't guys like this — outsized, charismatic public figures — always have affairs and out-of-wedlock children? Joel's family shouldn't be all that aghast. But finding that their secular socialist saint has clay feet, the family spins off in different directions. Daughter Rosa, who's lived a fiercely ascetic life in Cuba for the past few years, has returned to New York and becomes drawn to — horror of horrors! — Orthodox Judaism. Another daughter, Karla, is, figuratively speaking, the family punching bag. Overweight and unhappily married to a working class union organizer who alternately idolizes and derides her famous lefty family, Karla stumbles into a tentative affair with Khaled, an apolitical Egyptian immigrant who runs the newspaper stall in the hospital where she works. Son Lenny is a perpetually recovering heroin addict who slowly discovers the disciplined pleasures of exercise and woodworking. "I'd rather stick a pin in my eye." "Oh?" [says the patient friend] "It looked quite fun to me." "What," [sneers Audrey], "floating around the islands with a bunch of old guys quarreling over who gets to sit in the Jacuzzi with Katrina van den Heuvel?" Audrey's relentlessly mean, if entertaining, attitude stirs up so many interesting questions in this acerbic novel of ideas: Is nastiness always a good indicator of insight? Is intelligence always a higher virtue than kindness? And please, The Believers warns, think twice about those knee-jerk answers, Gentle Readers. Maybe running off with the nonjudgmental, unread Khaled would make Karla happier for the nonce, but whatever are they going to talk about in the years to come? By refusing to pander, to serve up even one likeable main character, The Believers also raises implicit questions about our readerly expectations about fiction. You may not make new imaginary friends by reading The Believers but, as consolation, this smart, caustic novel reminds readers that fictional friendship can be overrated. At a party in a bedsit just off Gower Street, a young woman stood alone at the window, her elbows pinned to her sides in an attempt to hide the dark flowers of perspiration blossoming at the armholes of her dress. The forecast had been for a break in the weeklong heat wave, but all day the promised rain had held off. Now, the soupy air was crackling with immanent brightness and pigeons had begun to huddle peevishly on window ledges. Silhouetted against the heavy, violet sky, the Bloomsbury rooftops had the unreal, one-dimensional look of pasted-on figures in a collage. The woman turned to survey the room, wearing the braced, defiant expression of someone trying not to feel her solitude as a disadvantage. Most of the people here were students, and aside from the man who had brought her, she knew no one. Two men had separately approached her since she had been standing at the window, but fearful of being patronized, she had sent them both away. It was not a bad thing, she told herself, to remain composed on the sidelines while others grew careless and loud. Her aloofness, she fancied, made her intriguing. For some time now, she had been observing a tall man across the room. He looked older than the other people at the party. (Casting about in the exotic territory of old age, she had placed him in his early thirties.) He had a habit of massaging his own arms, as if discreetly assessing their muscularity. And from time to time, when someone else was talking, he raised one leg and swung his arm back in an extravagant mime of throwing a ball. He was either very charming or very irritating: she had not yet decided. "He's an American," a voice said. Audrey turned to see a blond woman smiling at her slyly. She was wearing a violently green dress and a lot of recklessly applied face powder that had left her nose and chin a queer orange color quite distinct from the rest of her complexion. "A lawyer," she said, gesturing across the room at the tall man, "His name's Joel Litvinoff." Audrey nodded warily. She had never cared for conspiratorial female conversation of this sort. Its assumption of shared preoccupations was usually unfounded in her experience, its intimacies almost always the trapdoor to some subterranean hostility. The woman leaned in close so that Audrey could feel the damp heat of her breath in her ear. The man was from New York, she said. He had come to London as part of a delegation, to brief the Labour Party on the American civil rights movement. "He's frightfully clever, apparently." She lowered her eyelids confidentially. "A Jew, you know." There was a silence. A small breeze came in through the gap in the window where it had been propped open with books. "Would you excuse me?" Audrey said. "Oh!" the woman murmured as she watched her walk away. Pressing her way through the crowd, Audrey wondered whether she had dealt with the situation correctly. There was a time when she would have lingered to hear what amusing or sinister characteristic the woman attributed to the man's Jewishness -- what business acumen or frugality or neurosis or pushiness she assigned to his tribe -- and then, when she had let the incriminating words be spoken, she would have gently informed the woman that she was Jewish herself. But she had tired of that party game. Embarrassing the prejudices of your countrymen was never quite as gratifying as you thought it would be; the countrymen somehow never embarrassed enough. It was safer, on the whole, to enjoy your moral victory in silence and leave the bastards guessing. Audrey halted now, at the sound of someone calling her name. Several yards to her left, a stout red-haired youth was standing between two taller men in an unwitting turret formation. This was Martin Sedge, her date for the evening. He was waving and beckoning, making little smoky swirls in the air with his cigarette: "Audrey! Come over here!" Audrey had met Martin three months before, at a conference of the Socialist Labour League in Red Lion Square. Despite being one year her junior, he was much more knowledgeable about political theory -- much more experienced as an activist -- than she was, and this inequality had given their friendship a rather pedagogical cast. They had been out together four times, always to the same grimy pub around the corner from where Audrey worked, and on each of these occasions their conversation had swiftly lapsed into tutorial mode, with Audrey sipping demurely at her shandy, or nibbling at a pickled egg, while Martin sank pints of beer and pontificated. She did not mind being talked at by Martin. She was keen to improve herself. (On the flyleaf of the diary she was keeping that year, she had inscribed Socrates' words, "I know nothing except the fact of my ignorance.") There was a girlish, renunciatory streak in her that positively relished Martin's dullness. What better proof could there be of her serious-mindedness -- her rejection of the trivial -- than her willingness to spend the spring evenings in a saloon bar, absorbing a young man's dour thoughts on the Fourth International? Tonight, however, Martin seemed at pains to cast off his austere instructor's persona. In deference to the weather and to the festive nature of the occasion, he had forgone his pilled Shetland sweater in favor of a short-sleeved shirt that revealed his pink, ginger-glazed forearms. Earlier in the evening, when he had met Audrey at the Warren Street tube station, he had kissed her on the cheek -- a gesture never hazarded before in the short history of their acquaintance. "Audrey!" he bellowed now, as she approached. "Meet my mates! Jack, Pete, this is Audrey." Audrey smiled and shook Jack and Pete's wet hands. Up close, the three men were a small anthology of body odors. "You out of drink?" Martin asked. "Give me your glass, and I'll get you another. It's bedlam in that kitchen." Excerpted from The Believers by Zoe Heller. Copyright 2009 by Zoe Heller. Excerpted by permission of HarperCollins Publishers.